By 7 p.m. on that Saturday night, the hospital room was quiet, dimly lit, and very peaceful. Dad was napping on the extra bed, and I had pulled a chair close beside Mom’s bed. Her breathing was slightly labored, but she was resting peacefully and stirred only occasionally. I knew her time was short, and I wondered how much longer she would be with us. The lights of the Christmas tree on the table cast a soft glow on the room. Christmas carols playing from the bedside CD player provided my favorite kind of background music. I hummed along with “O, Holy Night,” remembering how Mom would often break into song with the Tabernacle Choir at her favorite parts! How Mother loved Christmas! I looked at her in the bed, her physical body tired and worn out, and my mind and heart were filled with memories of so many good times. 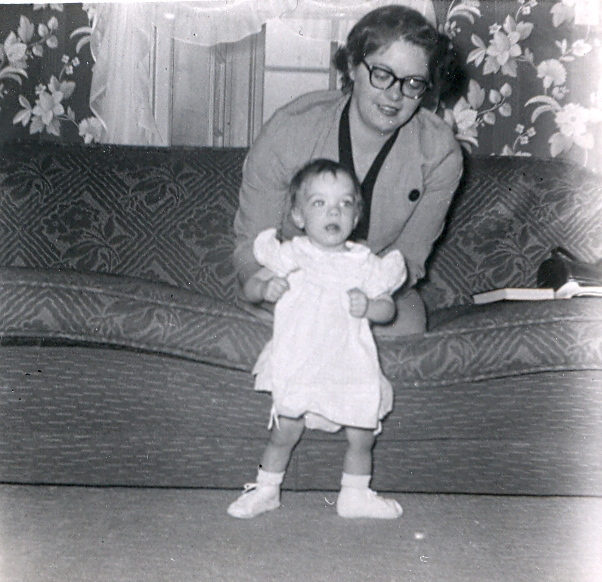 My mother was one of my best friends, and I felt so grateful for the relationship we shared. She was strong – yet sentimental, outspoken – but sensitive, and exacting – while at the same time gentle. She had supported and encouraged me throughout my life, even if she did think I was crazy to take up skiing when I was almost 50! She had given me a lot of guidance – some asked for, some not – and I knew that her passing was going to leave a void. But more than what we had shared and what all of us would miss, I wondered about her next step. She was going where none of us had yet been, nor could now. What was it like to die? I wasn’t concerned so much about physical pain or discomfort, but particularly curious about the transition from this life to the next. Where was she going? How would it feel? Who would she see? “Now concerning the state of the soul between death and the resurrection — Behold, it has been made known unto me by an angel, that the spirits of all men, as soon as they are departed from this mortal body, yea, the spirits of all men, whether they be good or evil, are taken home to that God who gave them life. The room seemed sacred, my heart felt peace, and the Christmas carols were as a prelude . . . I had always thought that, having someone you love pass away during the Christmas Season was an especially sad thing. Since reading Lynnette’s comments, I have reconsidered this thought. It’s true that you hate to have them leave you. However, to have a time when you always think of your wonderful memories of that person, may add to the joy of the season. This would certainly be true, if you knew that they had gone to a state of happiness, a state of rest, a state of peace. It would certainly be true, if you knew that you would see them again. Of course you would have the words to express how I feel! I missed out on those last few days but thank you for sharing your thoughts and feelings–it gives me comfort to know how peaceful things were. The void is big but the memories are treasured and how comforting to know that she’ll be there waiting for me when it is my turn to rest from my labors.